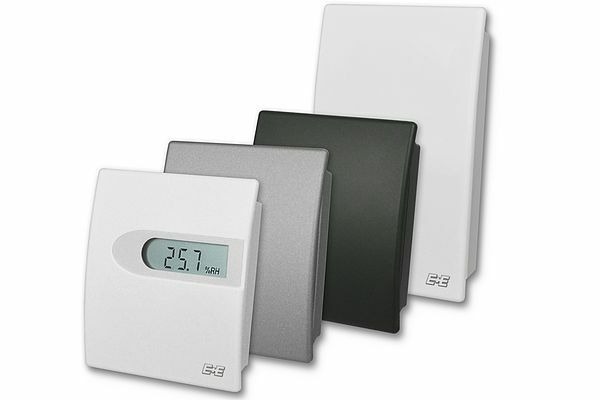 The relative humidity and temperature in commercial and residential buildings can be measured with EE10 room sensors from E+E Elektronik. The sensors are now also available with Modbus RTU or BACnet interface, which facilitates integration into modern climate control systems. The functional enclosure allows for fast and easy installation. The EE10 room sensors family includes models for humidity and temperature measurement as well as for temperature measurement only. Featuring analogue (current/voltage) or digital (Modbus RTU / BACnet) outputs, EE10 is particularly versatile. Digital EE10 devices calculate additional physical quantities such as absolute humidity, mixing ratio, enthalpy, frost point temperature and water vapor partial pressure. The analogue models are optionally available with a passive temperature output.